Not me: Michicant reported in Turns & Observations thread yesterday at 4.28 p.m.
Might co-incide with some of the 158 reblinds. I've heard the 259's King's Cross display also has a change. 126 to Bromley South. Very misleading. I've noticed that newer blindsets now say "Bromley town centre" which is more accurate yet still rather vague. 64/130/314/464/664 to New Addington is one as I think these refer to at least 2 different places (Salcot Crescent / Vulcan Way). 403 to Warlingham (meaning the Sainsbury's) is a little confusing especially when Warlingham Green is a separate turning point. I think the 126's blind should be Bromley, High Street or go all out accurate and have Bromley, Ringwood Road. 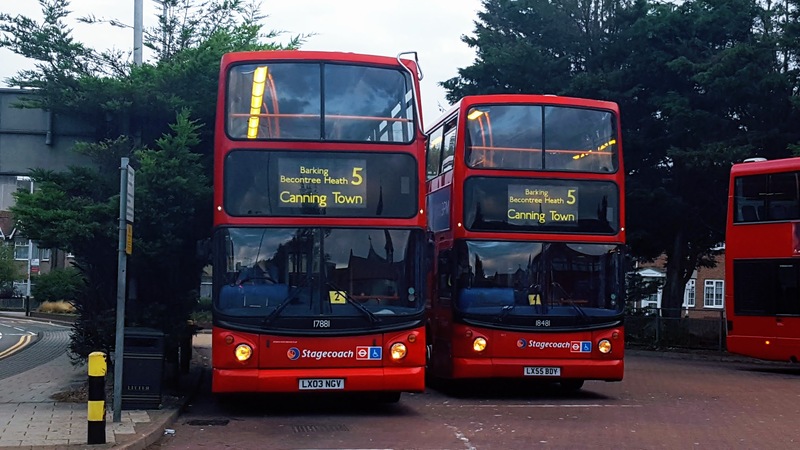 I agree with the New Addington blinds - buses used to show New Addington, Vulcan Way as recent as when the PVL's were at C and 314's showed New Addington, Salcott Crescent whilst the 64 would show New Addington, Parkway. Bromley The Mall would seem the obvious display for the 126. Plain New Addington with no qualifier is ridiculous. I might be wrong but I seem to recall seeing Mitcham Lavender Fields on the S1? I believe your right that there was a Mitcham, Lavender Fields blind but think only certain buses had it from memory. The 341* and 381 should advertise their destination as Waterloo, County Hall. 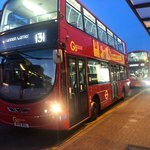 It annoys me how there is no distinction between the 4 and 139s last on Waterloo Road and the 341 and 381s last stop which is at least a five minute walk away at County Hall. Perhaps not everyone knows where County Hall is, in which case, the last stop should be advertised as Waterloo, County Hall. The last stop on the 76 is actually "Lower Marsh" on Westminster Bridge Road - if anything, I'd call it Lambeth North rather than Waterloo. The County Hall routes definitely need a different display. 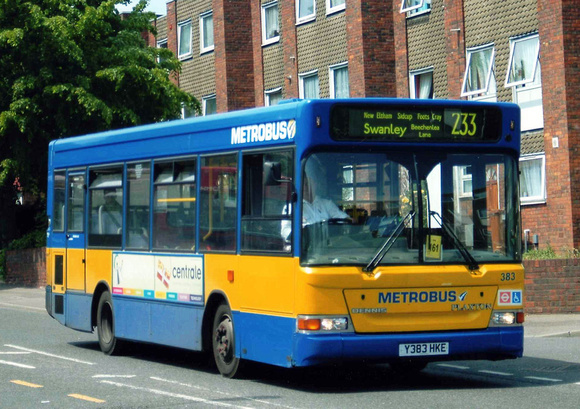 It was even more confusing in the past when late-running 76s or 341s would sometimes curtail at Waterloo Station (using the 243 routeing), but you had no way of knowing that until the bus veered onto Mepham Street. Waterloo, Necropolis Railway would both fit the bill and provide a nice talking point. Had a brainwave today, I’m surprised no one has flagged up the 230’s ‘Upper Walthamstow’ as a potential candidate for most vague destination?? Where or what is that, could be anything north of Walthamstow town centre in the Waltham Forest borough. Unless our renowned Walthamstow-based forum member can give an insight as to what ‘Upper Walthamstow’ actually means? ?